18 Aug 1874 – ? Dr Prudence Elizabeth Gaffikin was educated at Queen's College Belfast and Vienna. She qualified in 1900 and held the posts of House Surgeon Royal Samaritan Hospital for Women Glasgow; Assistant Medical Officer of Health Huddersfield; Acting Medical Officer of Health Warrington including the supervision of a small tuberculosis hospital; and Schools Medical Officer Enfield. Dr Gaffikin was Secretary of the The Women's National Health Association (WNHA). The movement was founded in 1907 to promote public health in Ireland. Nov 1896 Passed her first examination (five year course) of the Conjoint Board in Scotland. Sept 1907 Acting Medical Officer of Health Warrington. Elected a member of the British Medical Association (Lancashire and Cheshire Branch). 1913 Medical Superintendent of the Peamount Sanatorium Dublin. Dr Gaffikin worked alongside Dr Joseph Daniel, the Resident Medical Superintendent, who had for four years been in charge of the home treatment of tuberculosis patients cared for by the Women's National Health Association in Dublin. In 1913, Dr. Daniel became Assistant Superintendent of the Collier Memorial Dispensary for Tuberculosis, leaving Dr Prudence Gaffikin sole medical superintendent. Dr. Gaffikin resided at Peamount. She was aided in the running of the sanatorium by her brother, Dr Philip Gaffikin, who had made special laboratory study of tuberculosis, and had been in attendance for six months at the White Abbey Sanatorium, Belfast. In June 1912, the WNHA acquired the farm in Peamount, near Newcastle, Co. Dublin, for £2,500. The property was bought with money provided out of the special sanatorium grant under the Insurance Act and the Finance Act of 1911. A new sanatorium was built at Peamount for patients recommended for sanatorium benefit by County Insurance Committees. Peamount Sanatorium was managed by the Women's National Health Association, with the approval of the Irish Government. Sept 1916 Contracted to work for 12 months as a Civilian Surgeon attached to the RAMC. Her salary was 24 shillings a day, including allowances, but excluding duty transport. A gratuity of £60 was awarded at the end of the contract, provided employment had not been terminated for misconduct. The majority of the medical women were invited to renew their contracts at the expiry of their first year's work. 10 Sept 1916 Embarked in the Hospital Ship Essequibo as part of the Women's Medical Unit RAMC. 1917 On duty at Manoel Island Hospital. 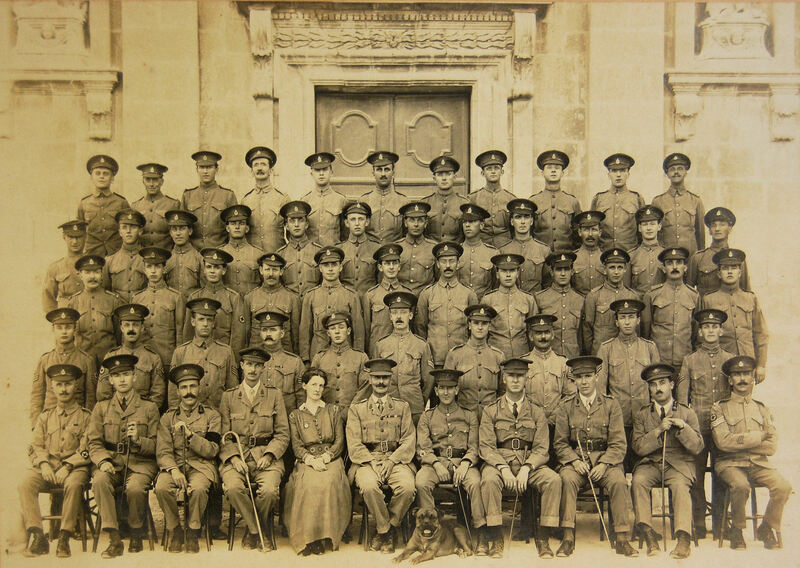 Malta 9 Sept 1918 Returned to England. 12 Dec 1918 – 14 Jan 1919 On duty with Southern Command. 1923 The Medical Directory lists her address as No 2 Queen's Elms Belfast. No 58 Army Book No 82. Record of Special Reserve Officer's Service (Records of 132 Lady Doctors)..